This marvellous large obtusum is complete and has taken many hours to prepare to this unrivalled standard. 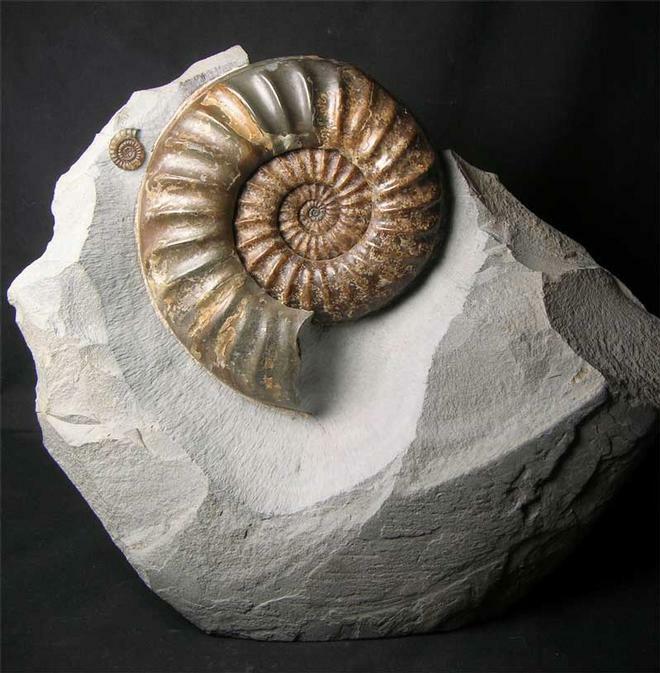 Any Asteroceras above 8 inches across found thesedays is a real rarity especially ones of this exceptional quality. This particular specimen was discovered on Black Ven at a place called "Dead Man's Tree" in 1988 and has remained in the same collection ever since. 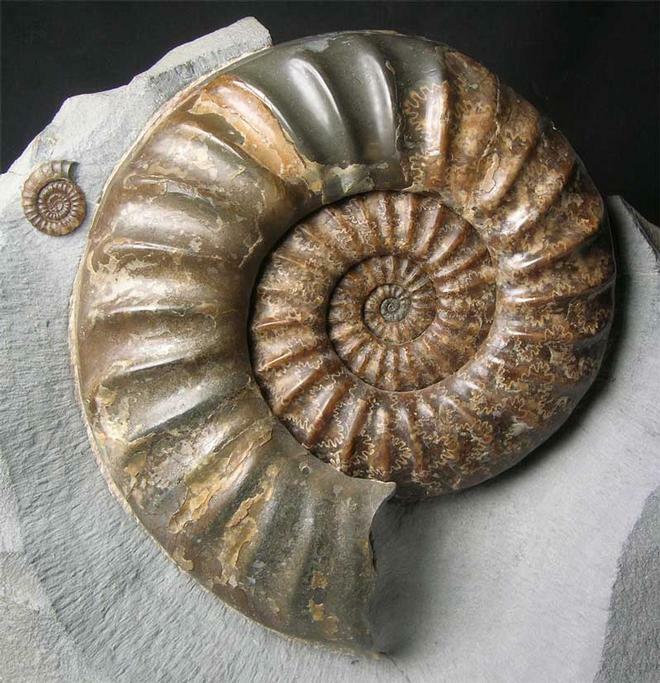 There is also a Promicroceras planicosta (25mm) at the side of the Obtusum which really adds to the aesthetics. 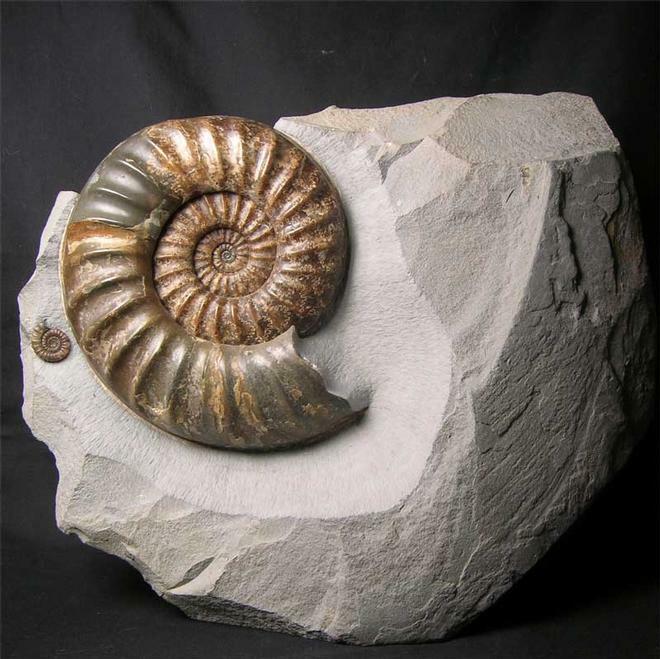 This solid brown calcified ammonite would grace any museum or private collection anywhere in the world. As always the preparation is superb on Fossils Direct as this is always high priority on our agenda. 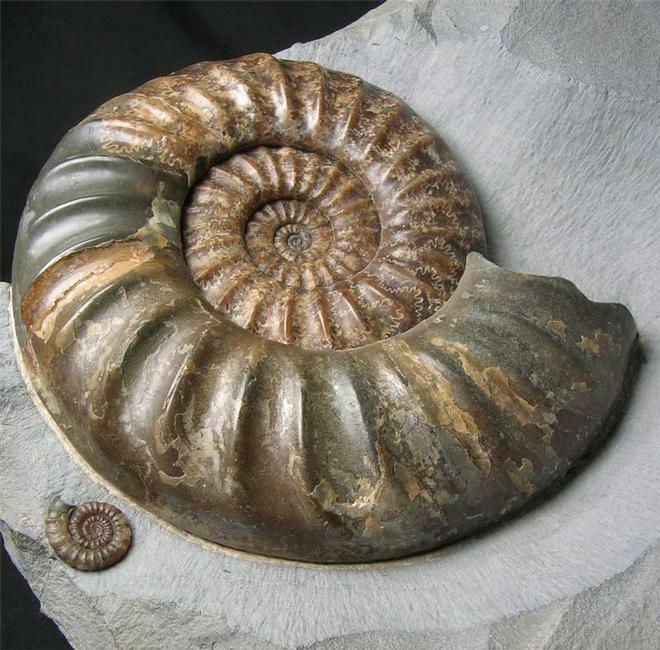 The ammonite is approximately 200 million years old and lies in a substantial piece of matrix which has a cut base for ease of display.